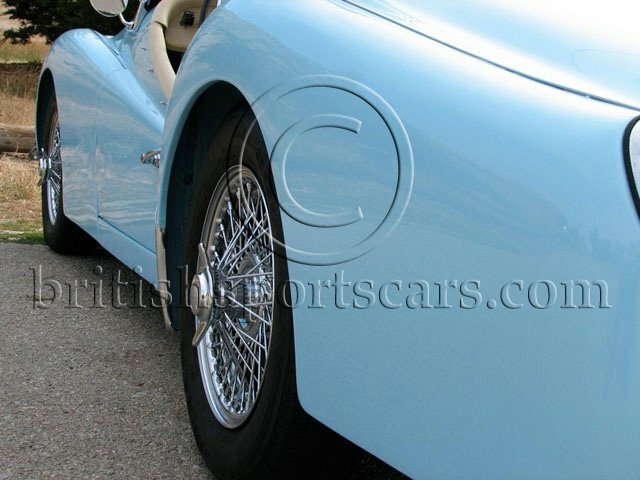 You are looking at a gorgeous TR3A that we just recently completed an extensive restoration on. This is an original rust-free, accident-free California Black plate car that was in amazing condition before we started the restoration. Good, solid TR3's like this are very hard to find. The car was completely stripped down to bare metal and a very high quality paint job was performed back to its original color. The engine and transmission were rebuilt prior to the restoration and had no miles on them. The car starts up and runs and drives excellent. This is a very rare factory overdrive car, which is a must have with today driving speeds. The interior is all new and looks excellent. The car also comes with a new convertible top, tonneau, and side curtains that have never been on. As you can see, the car also comes with a very rare factory hard top. The whole restoration can be documented step by step on our website: We also have all invoices for repairs done that we will be happy to fax or email to anyone interested. Please feel free to contact us with any question you may have.